fast check-in and check-out and airport transfer. * Price depends on the season and availability of boats. Enjoy a romantic and unique seven day honeymoon arrangement in one the most beautiful parts of the Mediterranean, navigating the coastline between Split and Dubrovnik. Dreamy coves, crystalline sea, all the scents and sights of a Mediterranean fairytale including rich gourmet tradition and lastly one of the most enchanting sunsets in the world are only a few reasons why this journey will be remembered for a lifetime. Great boats, offering highest comfort with highly experienced skipper and hostess who will assure your safety, convenience and comfort, all the while respecting your much desired privacy. The itinerary was designed through careful planning and vast experience of your skipper and it is bound to make you feel the romance, charm and beauty of the region. The activities you might partake in include swimming in the turquoise sea, soaking the sun in one of the hidden coves, exploring the rich Mediterranean flora and fauna as well as relishing in the rich tradition of the area. You will have the opportunity to taste the ancient wine-making tradition while wandering through the charming vineyards with the best seaside view you can wish for. This island bathed in the golden light of the sun, in its depths hides shadowy wine cellars containing richest flavors of Dalmatian wine. Of course, the trip will also include many opportunities for gourmet explorations which will delight your palate with the best Mediterranean cuisine. 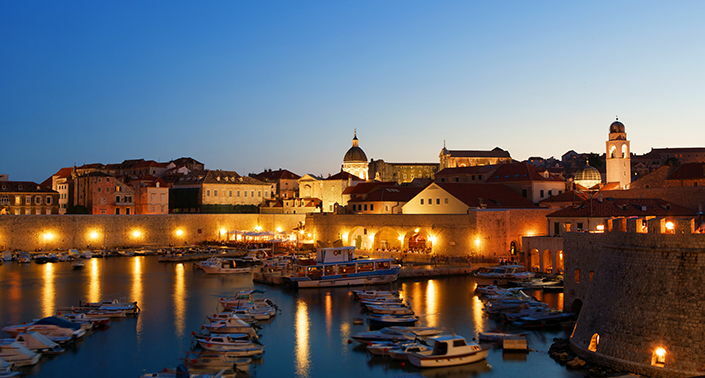 You may also take the chance to inspect one of the strongest Adriatic citadels from the comfort of your yacht and ponder whether you can find a crack in its fortified defense system. According to your wishes you will have the chance to record this momentous occasion by using GoPro technology with the additional option of providing professional photography. Your companions on the trip (skipper and hostess) will make sure all of your wishes are respected and that you are safely and comfortably tucked in while navigating the Adriatic waves along with your soul mate. Allow yourselves to be pampered throughout the entire trip and make sure to delight in the romance of your surroundings without a care in the world. The types of vessels offered for this occasion vary, however they are all sizeable sailing boats offering highest comfort and a lot of space for your convenience. Highlights - In order to avoid the rush and hustle of the Split port you will take a quick and enjoyable motor boat ride to an enchanting turquoise lagoon on the island Drvenik where you will be introduced to the abundance of the Adriatic experience. Here you will board your sailboat and get accommodated to your new naval atmosphere. You are scheduled to dine in the island Šolta where you will also spend the night. Sunday: sailing along Paklina islands, evening in Hvar. Highlights - Enjoying the Mediterranean scenery in motion. Spend the night on board and let the peaceful sea lull you into sleep. 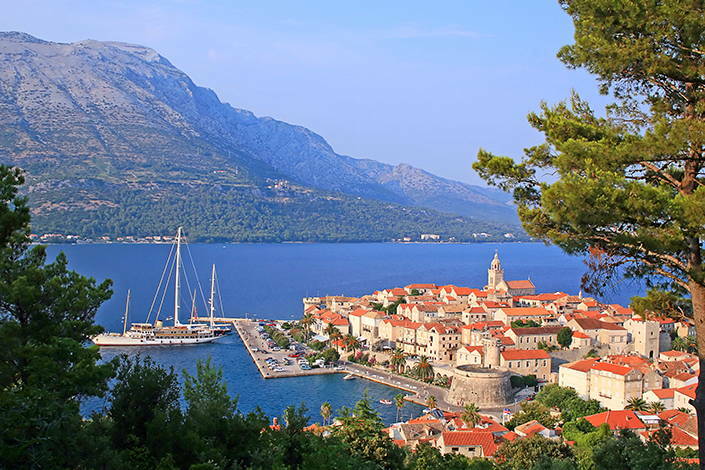 Highlights - Explore the sights and beaches of Korčula and enjoy a romantic dinner in the scenic town of Korčula. 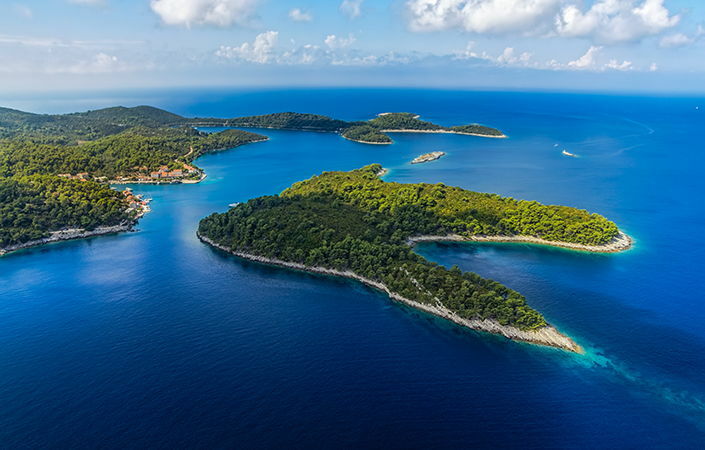 Highlights - Experience the full splendor of Mljet’s natural charm, explore the national park Jezera and wrap up the day by spending a gourmet evening in a beautiful port town. Thursday: sailing along the Elafiti archipelago, evening on the Šipan island. Friday: sailing along the fortification of Dubrovnik, guided tour of the city, spending the night in a 5 star hotel in Dubrovnik. All the services in this offer are included in the provided price, so the only additional expenses you need to consider are the costs of traveling to the starting point of the trip and the return home. Embark on this adventurous and romantic sea trip under the ever watchful eyes of mischievous Cupid. Note: Yacht Rent is not responsible for the accuracy, organization and execution of the above-described arrangement. Yacht Rent received all informations from a tour organizer with the sole aim of presentiation.